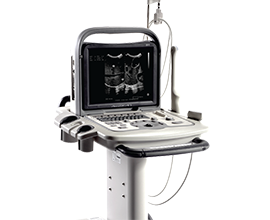 The B1 is a fully digital HCU B/W system, with unique user-friendly design and two active transducer connectors. 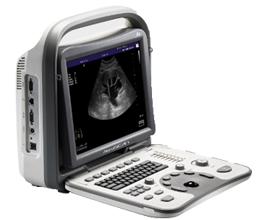 The B1 provides a wide range of patient data solutions. The B1 is durable and powerful, it can support daily application usage for a wide variety of applications. 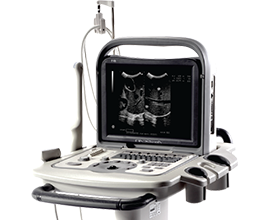 12 inch adjustable LCD and clear image from any angle, ensures doctors’ comfortable diagnosis. 145º transvaginal transducer, make patient comfortable and painless. Large screen, good for operators and diagnosis. Imaging Mode: B, B/B, 4B, B/M, M, THI. Gray Scale: 256 Gray Scale. Display: 12”High Resolution LED Monitor with tilt facility. Probe Frequency: Multi frequency 5 frequency selection. Gain Control: Overall Gain Control,(B-Mode, M-Mode) 8 stepTGC control. Image Display: Image Direction- Left/Right, Up/Down. Zoom: max .5 to 4.0 in 8 steps Biopsy guide line: on/off with Position/angle adjustment. Image Storage : 2000 + Images (Permanent Storage). Connectivity : USB, LAN, S-Video,VGA, DICOM 3.0. Standard Configuration : Machine + 2 Probe Connector + 1 Convex Probe, In-Built Battery Backup. Clinical Application : Abdominal, Gynecology,Cardiac, Urological,Vascular, Small Parts, Musculoskeletal. 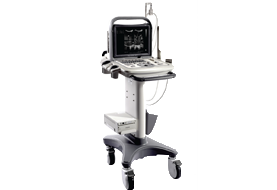 Probes : Convex probe, Linear probe, Micro Convex probe Phased Array Cardiac probe, Trans Vaginal probe. 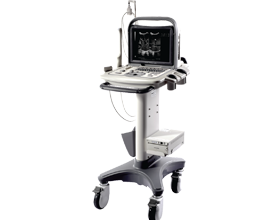 Optional : TV Probe / Intracavity, Linear Probe, Micro Convex Probe, Trolley, Biopsy Guide (Convex/Linear/TV), Thermal Printer.